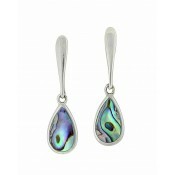 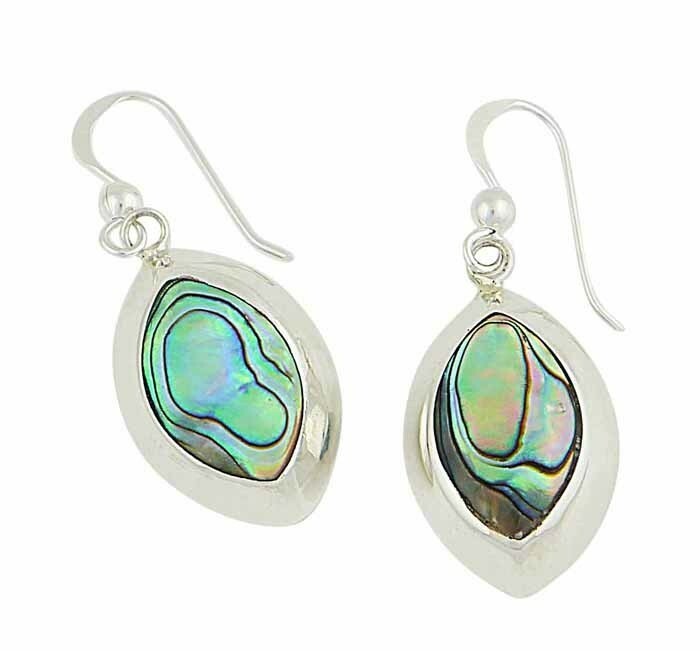 Dazzle everyone in the room with these exquisite silver and Abalone drop earrings. 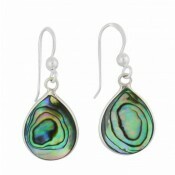 Not ones to sink into the shadows, they have an eye-style silhouette which plays host to this richly coloured shell. 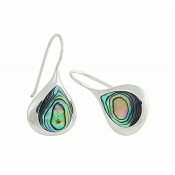 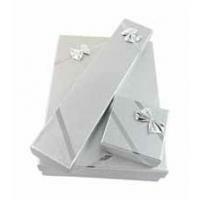 Fitted with simple hook fittings, they glide through the ears and sway comfortably for all-day wear.